Debashish has more than 17 years of experience in variety of insurance, actuarial and analytics projects. Most of his contribution is in the advanced analytics, actuarial, risk management, data mining and predictive modeling space in the Insurance sector. He started his career with GE and was instrumental in establishing and leading the non-life reinsurance team for GE Insurance in India. He was awarded the most prestigious “Summit Award” by GE. He moved to Deloitte in 2005 with the primary goal to set up the actuarial and insurance analytics practice in India. Currently, he is focused on Big Data Analytics and mostly into Data Science work around Machine Learning, Self-Learning Algorithms and Recommendation Engines. 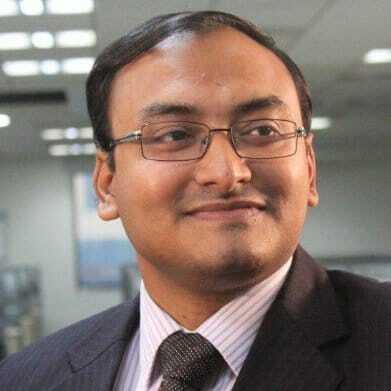 He is Regional Service line leader for Actuarial Science and Risk analytics, Deloitte consulting. He is a voracious reader and traveler and works closely with the academicians as well as corporates, and because of his work, he has been invited in many industry and academic conferences across India and USA – the is closely associated with Indian Institute of Management, Ahmedabad and Lucknow, his alma matter at Indian Statistical Institute, Kolkata, Casualty Actuarial Society and Society of Actuaries, USA, Institute of Actuaries in India (IAI), and NASSCOM, India to name a few. He is a nominated member of Board of Studies, ASIBAS and received a Golden Leadership award this year from Amity. He is also the chairperson of the Analytics Advisory board of the Institute of actuaries in India and was among India’s Top 10 Analytics Leaders in 2016.